Turmeric is a very tasty spice that gives an intense and exotic flavor to each dish. But did you know that it is also a real cure-all for your health? Let’s see how to use this spice and its benefits for our body. Turmeric (curcuma longa) is a spice with anti-inflammatory, anti-tumor, antioxidant, antidepressant, and painkiller properties to name a few. Since our body can not absorb it well, you can only take one teaspoon of curcuma per day, so a dose of 3 to 6 grams. Moreover, turmeric has a good wound healing function and, thanks to its analgesic effect, can be used to relieve joint pain and inflammation but also to help digestion. As we will see next, it’s an extremely helpful spice. But where does it come from? Turmeric has been part of human history for about 3,000 years. It was used by the Assyrians as a dye for fabrics and by the Indians for its medicinal properties, but also for cooking. There are two types of rhizome: the main one, which contains the roots, and the secondary one, which is finger-shaped. When sliced it shows its orange, carrot-like color. 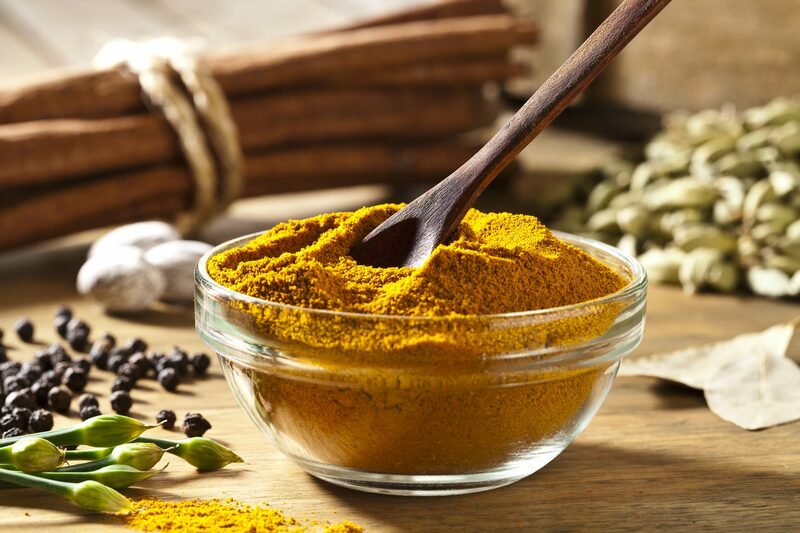 Turmeric is a component of curry powder and in the past it was known as a sacred spice. It was brought to Europe by Arabians who would call it Kurkum (saffron) and the name was then given to the word turmeric. It helps cleanse your body: Turmeric has a detox action especially on your liver, as well as ginger, and is also used for these purposes in traditional Chinese and Indian medicine. To enjoy all the detox power of turmeric, just take a spoonful a day and you’ll be protected against infections and inflammation. 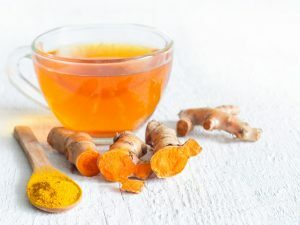 You can also prepare a detox turmeric tea: add a teaspoon of turmeric, a teaspoon of ginger and two teaspoons of cardamom seeds in hot water, steep for a few minutes, strain out and drink. It’s good for your brain: The properties of turmeric also bring benefits to your mind. Turmeric was found to be effective in preventing or slowing down cell death that commonly occurs in Alzheimer’s and Parkinson’s diseases. Curcumin helps to regenerate nerve cells in the brain, it prevents brain injuries and reduces the risk of stroke. 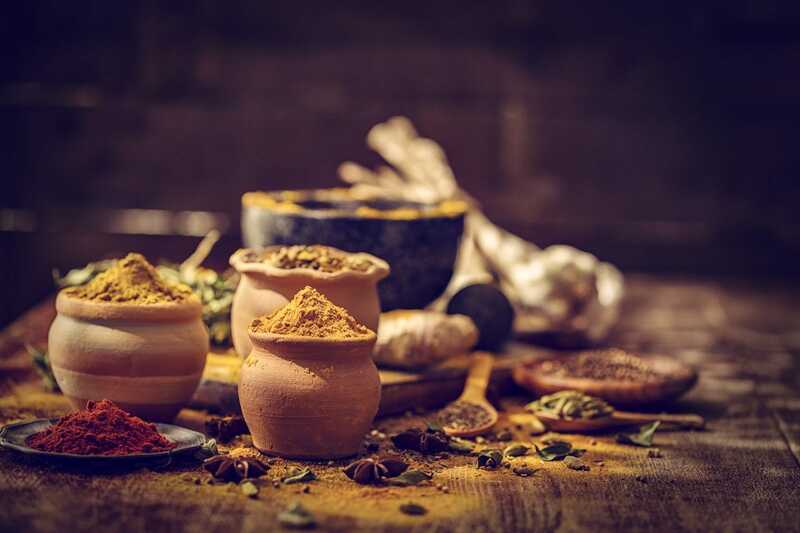 It fights cancer: Curcumin has many properties: it is a cancer preventative, able to fight and prevent prostate, colon, liver, lung, mouth, skin, kidney, and breast cancer. It is also effective against leukemia. Curcuma has also proven to be very useful for the prevention of prostate cancer and childhood leukemia. It is an anti-angiogenic agent: it blocks the development of new blood vessels and prevents migration of blood vessels to tumors. It protects your stomach and boosts your immune system: Turmeric does not cause gastric side effects. Curcumin boosts your immune system and acts against viral infections like cold and flu. It also works as anti-allergic agent. Anti-viral and Anti-bacterian: Curcumin, the pigment in the rhizome of turmeric, has antiviral and antibacterial power. Its antiviral power is able to cure the infection from some influenza viruses. You can benefit from this spice, for example, by adding a teaspoon of turmeric to the boiling water where you're cooking pasta. You can use turmeric powder as an antibacterial on cuts and wounds after washing them well. 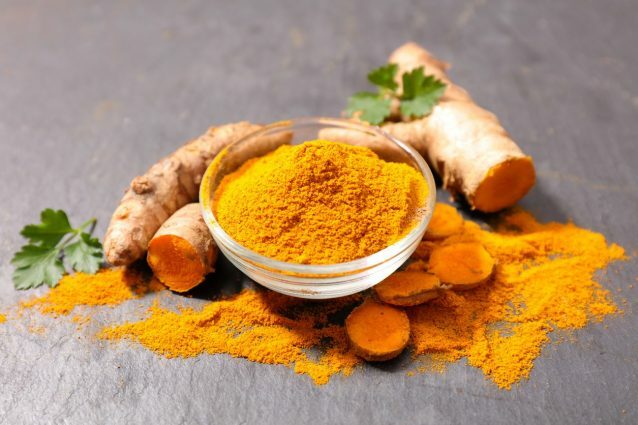 Anti-oxidant and beneficial in arthritis: Curcumin has important antioxidant properties: it has the ability to quench free radicals and slow down cellular aging. This effect is very important in diseases such as rheumatoid arthritis, where free radicals cause inflammation and joint pain. It's effective against diabetes: Its anti-inflammatory properties are also useful in preventing diabetes. Moreover, curcumin lowers blood sugar by stimulating insulin secretion. 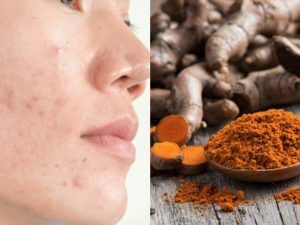 Wound healing and antiseptic power: Turmeric is also important for its healing and antiseptic power: in India, the rhizome is used to treat wounds, insect bites, burns, acne and many skin diseases, including eczema, chickenpox, herpes zoster, allergic reactions and herpes. Turmeric is great for heart health and lowers cholesterol: Curcumin improves blood vessel function, benefiting the heart and the cardiovascular system. 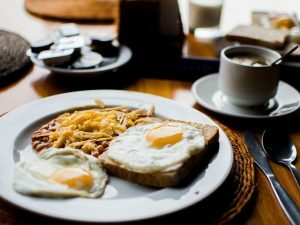 It also lowers LDL cholesterol and increases HDL cholesterol. It helps you lose weight: Turmeric can be a great ally in our diet if we want to lose weight, as it has the ability to prevent the absorption of nutrients from fat cells, stimulates metabolism, helps to assimilate less sugar, cleanses the body and flushes toxins out. It also helps combat swelling as it stimulates the gall bladder to produce bile acids so as to make digestion easier. It also promotes bowel functions by avoiding meteorism and flatulence. 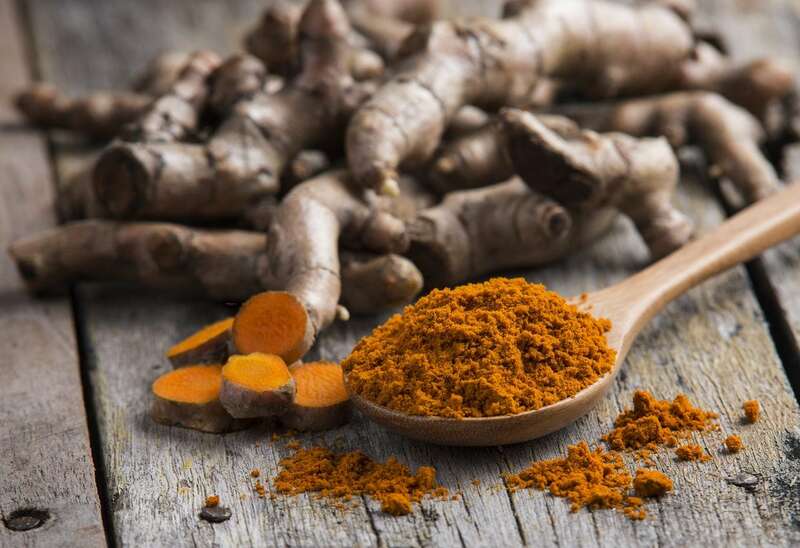 Antimycotic and antiseptic: turmeric has proven to be effective in combating a type of fungi that are responsible for some types of fungal infections including ringworm and athlete's foot. Turmeric is also an effective antiseptic and its anti-inflammatory property can aid in treatment of muscle and gastrointestinal spasms. 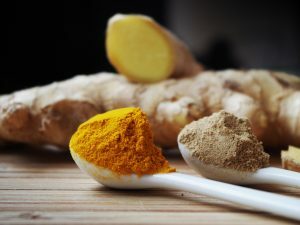 Antidepressant and painkiller: Curcumin has an antidepressant-like effect as it naturally regenerates physiological processes, but also works as a painkiller especially for relieving muscle and joint pain. Great against cold: To cure common cold, you can prepare a herbal tea, adding 2 tsp turmeric powder, 1 tsp honey, a little lemon juice and a pinch of black pepper to half a liter of water. You can drink one or two cups of herbal tea a day to recover faster. It combats cough and protects from smoke induced damage: To fight cough, you can prepare this effective turmeric home remedy wth a powerful expectorant and fluidifying effect. Just pour a teaspoon of turmeric powder in half a glass of warm milk for two or three times a day on an empty stomach. When cough is caused by cigarette smoke you might need a turmeric, ginger and garlic remedy to cure smoke induced damages. This will cleanse your lungs completely of mucus and toxins. 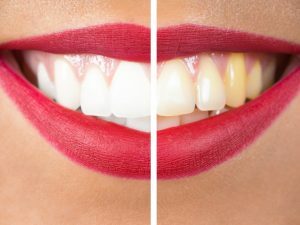 It whitens your teeth: Although it may sound strange, turmeric is an excellent natural remedy for whitening your teeth, just pass it on your teeth along with a tablespoon of coconut oil. In addition, its antibacterial and anti-inflammatory properties will help your gums stay healthy by fighting bacteria and inflammation. 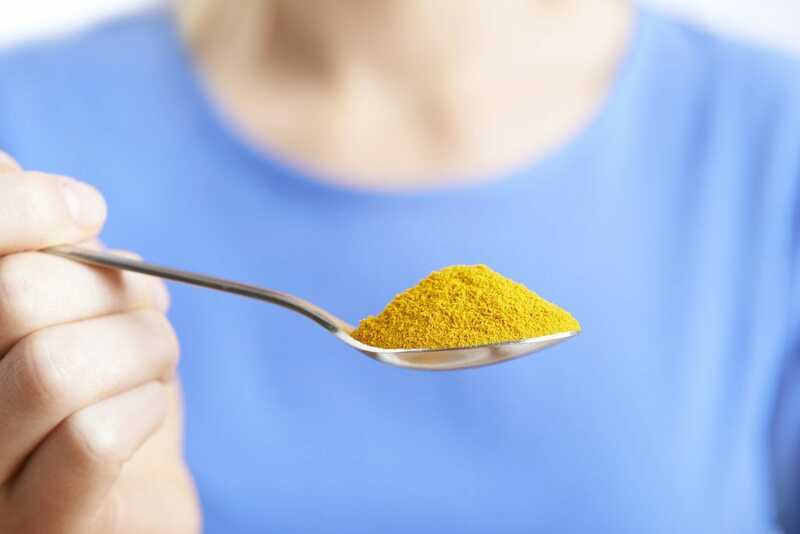 Turmeric powder has a fresh and delicate taste. Curcumin gives a slightly spicy flavor to turmeric and, in the west, is used in preparing curries and sauces. It is also used as a food dye with code E 100. Turmeric is also perfect for flavoring black tea and giving the drink a spicy and oriental touch. Its aroma is warm and pungent like ginger. It is advisable to use it raw or add it at the end of cooking. It can also be added to fruit smoothies, for example if you need to unsweeten a banana smoothie. One of the most common uses in the kitchen is add it to soups or broth with other vegetables. It can also be a great seasoning for rice and stuffed vegetables such as tomatoes, peppers, eggplants and zucchini. Turmeric oil then can be used as a condiment instead of extra virgin olive oil: it is antioxidant and benefits the liver in addition to activating metabolism.To prepare it you will need 50 cl of extra virgin olive oil and 3 teaspoons of turmeric powder: pour the oil into a glass jar with air-tight stopper and add the turmeric, then mix well. Let it marinate for seven days by shaking it once a day. On the eighth day, pour the oil into a bottle, paying attention to the turmeric on the bottom. Turmeric powder is preserved in non-transparent glass jars with an air-tight stopper and away from light to avoid the loss of aroma. Fresh turmeric, however, should be stored in the refrigerator for two to three weeks wrapped in a paper towel and then put in a bag. When taken at the recommended dose (2 teaspoons per day), turmeric has no particular side effects even if it is not recommended in cases of gastritis, gallstones and gallbladder stones. Also, it is advisable to seek medical advice, even in case of gastric ulcer and liver failure. Too much turmeric can cause nausea or heartburn. It may interact with certain drugs such as hypoglycemic agents and immunosuppressants. Attention should also be paid to those who take anticoagulants, as turmeric already has an anticoagulant effect and this may increase the risk of bleeding. Furthermore, pregnant and nursing women and children under 2 years of age should avoid using turmeric.